Whenever you require roofing services, be it roof installation or minor roof repair, it is important to contract the best roofing company Minneapolis MN. With several roofing companies in and around Minneapolis, it might be difficult choosing which one to contact. Here are some of the things that should help you identify the best local roofer in Minneapolis. Any good Minneapolis roofing company should be one which has professional and experienced roofers. Professional roofers will undertake their tasks as per the given guidelines and in an ethical way. With a professional roofer, you will be confident that they will give you the best advise and solutions to your roofing problems. An experienced roofer will come up with effective and out of the box solutions as they might have dealt with a similar issue before. Additionally, an experienced roofer will work well under pressure and during emergencies. 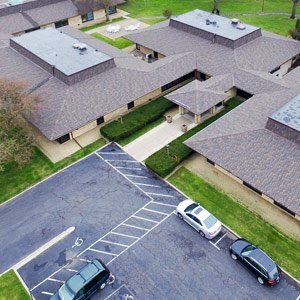 Even though you might be in need of a single roofing service, it is advisable to select a roofing company Minneapolis MN that offers a wide range of residential and commercial roofing services including roof installation, roof repair, roof replacement, and roof maintenance. A roofing company that offers a number of services is not only cost effective but will also help you easily identify which roofer is responsible in the event you have additional roofing issues. Never hire a local Minneapolis roofing company that is not licensed and insured. Being licensed means that the roofing company has complied with all the local and federal requirements. The best way to find out if a particular roofing company is licensed is to ask for copies of their licenses or inquire from the local authority. Contracting an insured roofer will give you peace of mind as you will be assured of compensation in the event your property is damaged as a result of actions by the roofers. 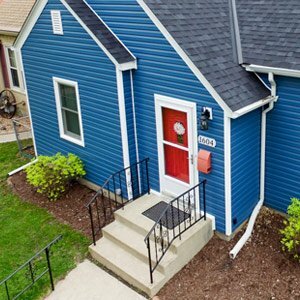 Reputation is key when choosing which roofing company in Minneapolis to hire. A roofing company with a good reputation is on that is dependable, trustworthy and delivers quality roofing services to its clients. The best way to know how reputable a roofing company is by reading their reviews in review websites, online boards and customer reviews in publications. When hiring a roofer, it is advisable not to go for the cheapest Minneapolis roofer but one who is cost effective. Cheap roofers may do a shoddy job which may end up being expensive in the long run. Additionally, your Minneapolis roofer should offer you value add services like free inspection and advise to help maintain your roof. in the event, you need emergency roofing services in Minneapolis MN, it is advisable to select a roofing company that offers emergency roofing services. A good roofing company Minneapolis MN that offers emergency roofing services will be ready to deal with your roofing issues no matter the day or time. Their roofers are always on standby and will arrive at your home within the shortest time possible. Need roofing services in Minneapolis MN? kindly contact our friendly customer service team on (snap construction). Browse Here for getting more information related to Roofing Companies Bloomington MN . When it comes to the roof, there is so much at stake for you to take chances when hiring a roofing company to work on it. It is important for you to hire a professional and reputable roofing company Minneapolis that will provide you with the best services; be it getting simple roof repairs or even installation of a new roof. To get the best Minneapolis roofing company, here are 5 key questions that you should ask. You should inquire from any potential Minneapolis roofer on the kind of roofing materials they are to use. Is the roofing material of high quality, what is its longevity? is it energy efficient etc. Even though we expect the roofer to buy materials depending on the budget, they have a responsibly of advising you on the best roofing material for your Minneapolis home. Most roofing companies work with independent subcontractors especially when their teams are engaged in another roofing project. Even though the roofing company might have promised to undertake the roofing task in a particular way, subcontractors may end up doing a substandard job as you are technically not paying them. The best roofing company Minneapolis is one that has its own in-house team as this ensures quality of work is maintained. It is also good to know whether this is part of their work or there are extra charges. The best roofing contractor in Minneapolis should undertake post roofing clean up at no extra charges. Your roofer should offer you some kind of guarantees and warranties on the roofing task being undertaken, or on material being used. Guarantees and warranties are assurances from your roofing company Minneapolis that in case of any problems that have been guaranteed, the roofer deal with it at their own costs. It is also important to find exactly what is covered in the warranty and how long it lasts. Visit Here for getting more information related to Roofing Company Minneapolis MN .